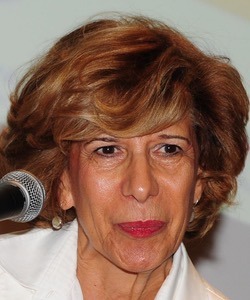 Member of Business and Professional Women Association (BPW)-Italy from 1988, is serving also at regional level as Member of the BPW It/ Center Italy District (Lazio, Tuscany, Marche and Umbria regions). BPW International Federation Representative at FAO since 2006, at present is the Coordinator of the Adhoc Group of International Non governmental organizations (www.ahgingos.org). Attended different meetings and Congresses for BPWInternational in Italy, Australia, Mexico, USA, Finland, Jeju and Cairo, as a member of the UN-representatives' Committee. Active member of different non profit organizations (Lions Club, Panathlon Club, Associazione Italo Polacca delle Marche), from 2012 is Honorary Consul of Poland in Ancona, for the Region of Marche.